Whether you're a long time Linux enthusiast or a newbie, it is easy to become overwhelmed by the vast amount of Linux information available. We've compiled a short list of places you can most easily start your search for help. And remember, no matter what your skill level, you're not alone. Help is always available. The LDP is an immense collection of free Linux documentation ranging from complete books to some of the best HOWTOs. Linux Journal forums allow users to interact with each other. 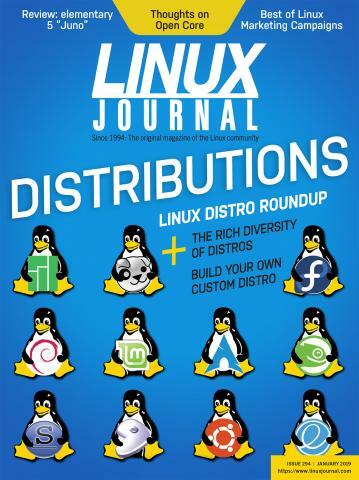 linux-list is a Linux mailing list hosted by Linux Journal that covers a variety of Linux topics with a high signal-to-noise ratio. linux-kernel is the high-traffic list where arguments over kernel development happen. Great if you're writing a driver or porting to new hardware, but bad for end-user questions. Do your homework before posting to this one. USENET features thousands of newsgroups specific to Linux. We can't help but to blow our own horn here a bit but Linux Journal really is one of the best places to learn about everything-Linux. Crawl through our website for thousands of articles open to the public, many of which are presented in a hands-on, how-to style to help you learn the ropes. And whatever you do, don't forget to start your subscription today so you can stay on top of it all.